Charlie Richardson receiving his award from coach Aloka Prelis. 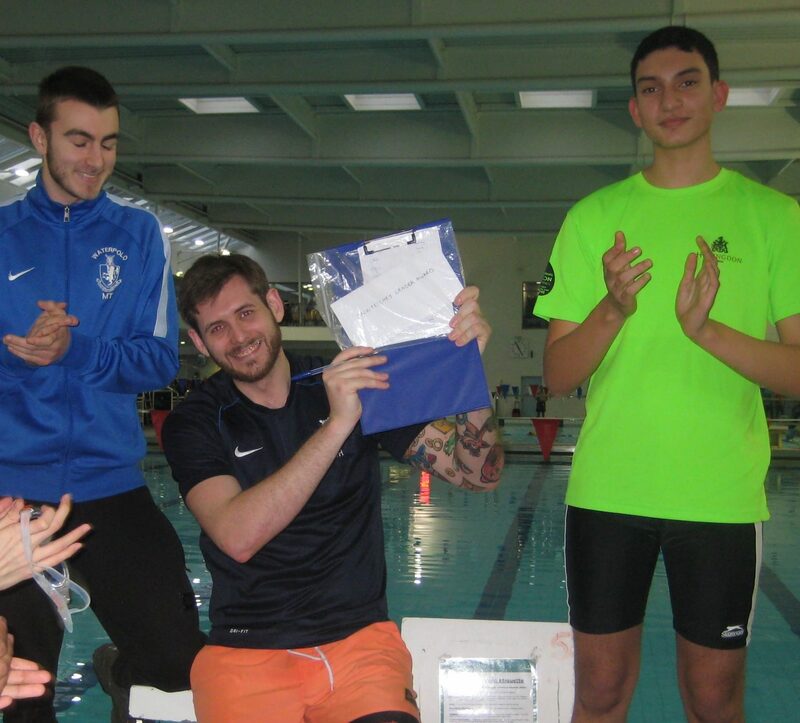 Shaun Hill’s passion, determination, enthusiasm and commitment to coaching water polo at Hillingdon Penguin has been recognised by the children who put him forward for a Jack Petchey Leader Award. Michaelangelo Tritto said he was proud and honoured to make the award with the support of Anderson Jolly. Left to right, Michaelangelo Tritto,, Shaun Hill and Anderson Jolly. 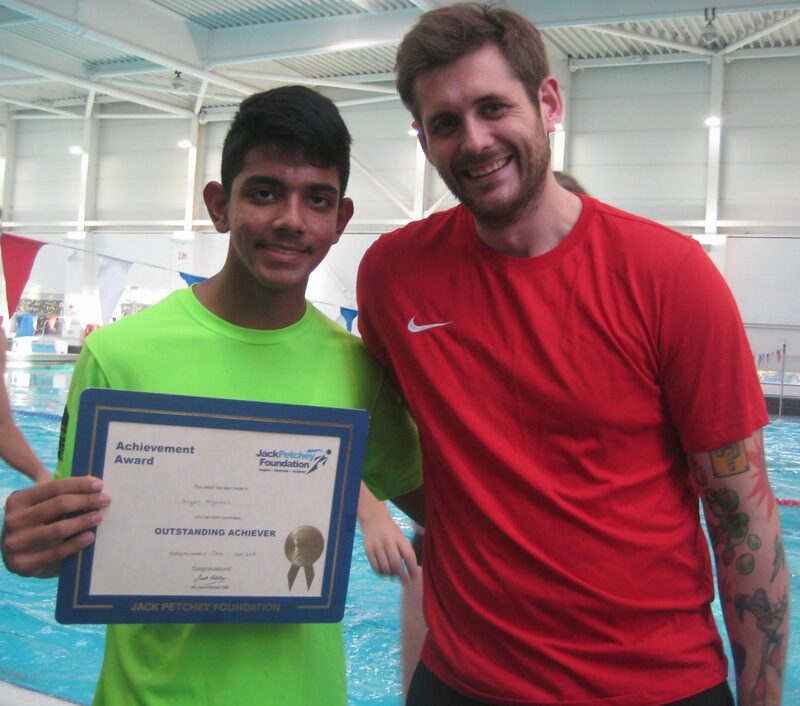 We are grateful to the Jack Petchey Foundation for their support. 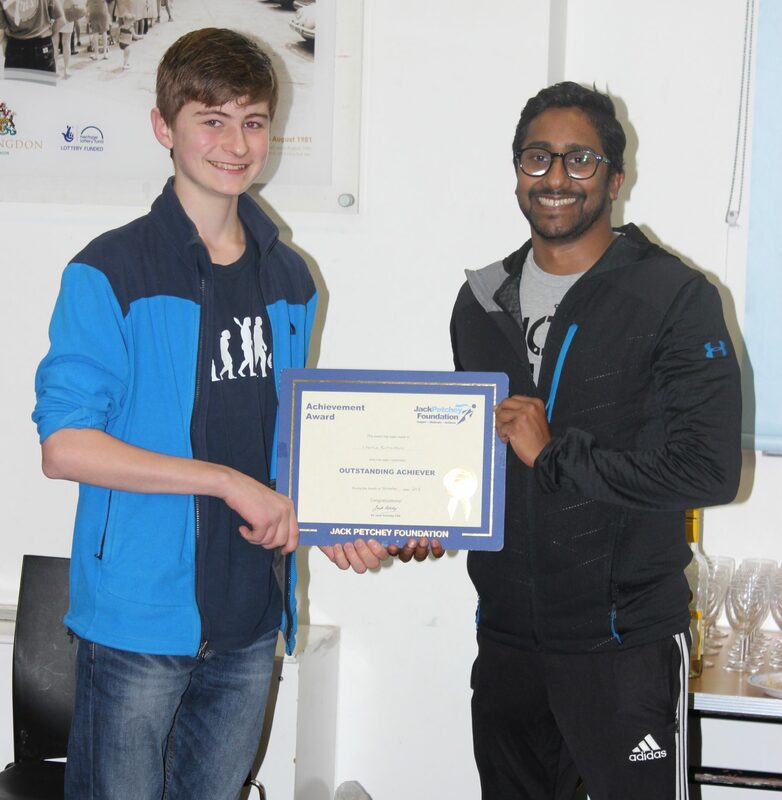 Our most recent Hillingdon Penguin Jack Petchey Award winner is Aryan Agarwal. 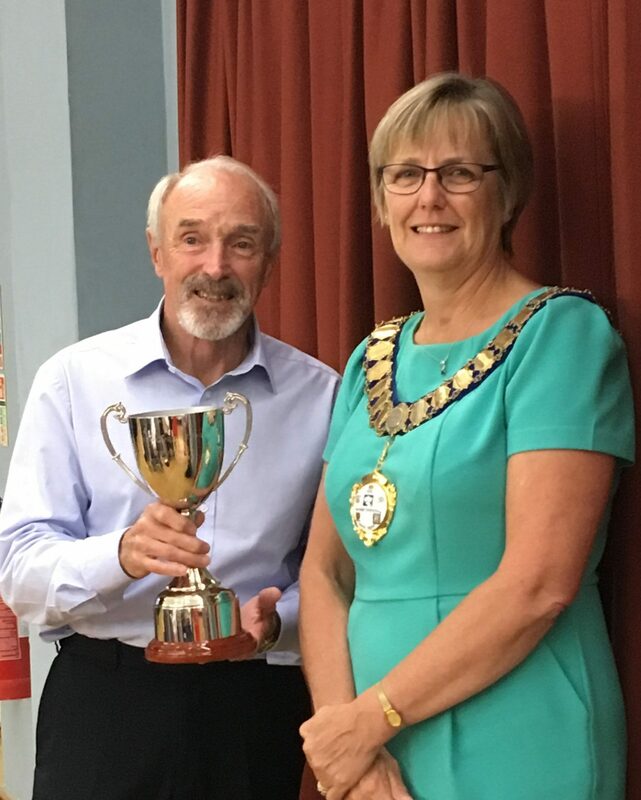 The actual award was made by Shaun Hill, but Aryan has equally impressed Aloka Prelis who has coached Aryan in the Hillingdon Under 14 and Under 15 teams. Aryan’s team went on to win the fun end of term tournament. 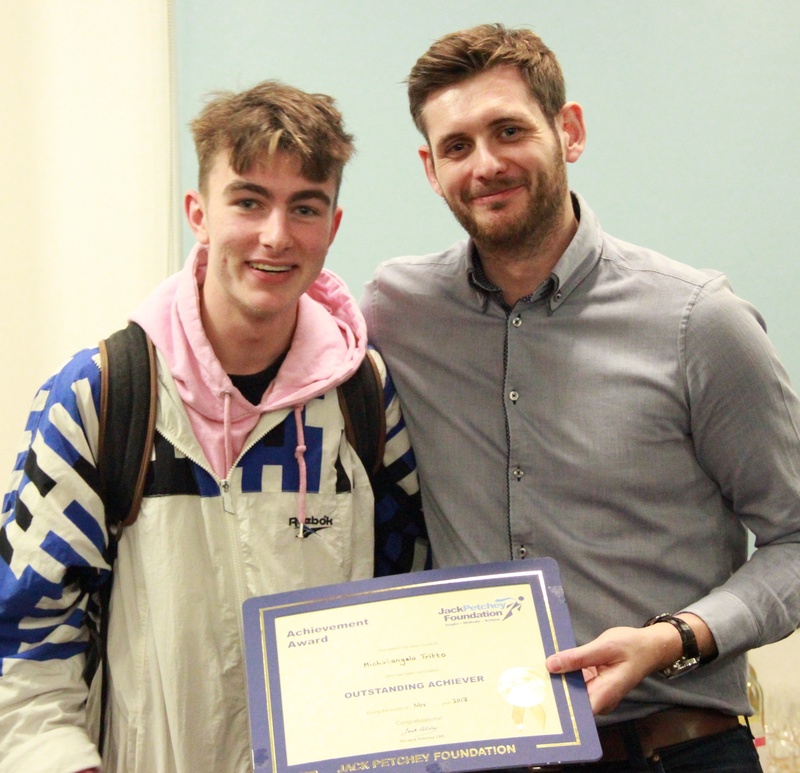 The winner of the Jack Petchey Achievement Award for March 2018 is Anderson Jolly. Why? In three words: leadership, commitment and discipline. Anderson, who is 15, joined the Club in December 2016. He was a strong swimmer, but new to water polo. It didn’t take him long to master the basics of the game and move to the Advanced group. At our end of term fun tournaments, Anderson has captained teams to victory on four occasions, showing what a great tactician he is. 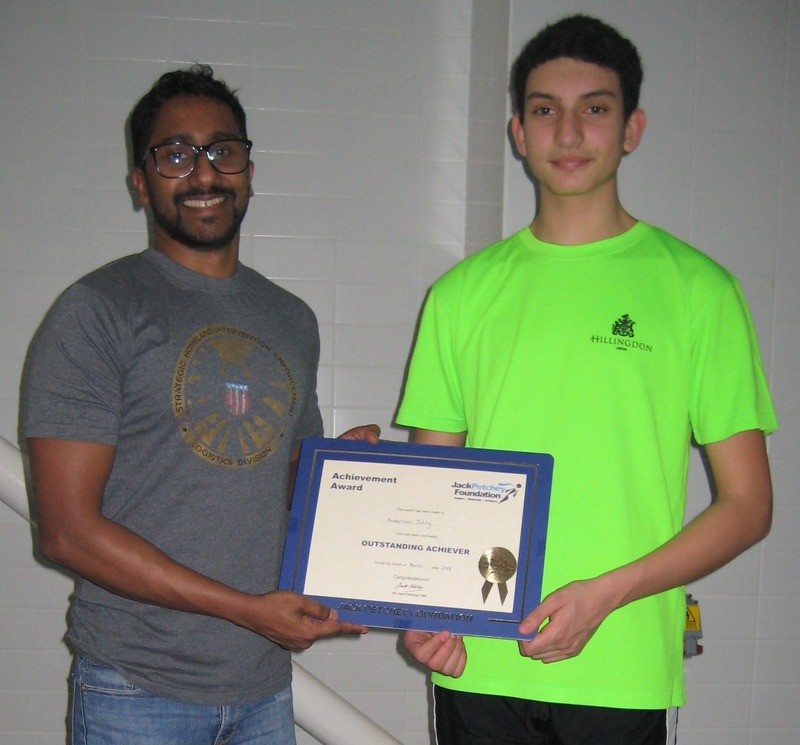 The winner of the Jack Petchey Award for November 2017 is Michelangelo Tritto. Mickey, who is 17, joined the club in February 2017. He was already a skilful player through his school, John Lyon. Training with Penguin has enabled him to improve his playing further and he has competed with the Enfield under-18 team. He has also gained refereeing skills. Above all, it is the many hours volunteering, coaching our beginners and youngest members in the Development Squad, that makes him stand out. Mickey is always welcoming, polite and caring. Shaun, the Development Squad coach, is full of praise for how well Mickey supports him and how excellent he is at controlling and encouraging the under-12s.